Keeping your system and data safe is hell lot of a critical job. As cybercrimes are rising day-by-day the need for practicing healthy security measures have become mandatory. If a system gets infected by viruses, malware or trojans it can severely impact PC performance. These programs are specifically designed to infiltrate user's computer network and cause damage. Therefore, it is essential to take a step forward and look for a solution that solely protects the system from vulnerable threats. Systweak Advanced System Protector is one such tool that effectively detects and eliminates malicious infections from a personal computer. It proffers real-time protection which simply roots out dangerous malware, infectious files and spyware that might harm your PC. Advanced System Protector is a bundle of antimalware, antispyware tools which keeps the bad guys out of your network. The software is loaded with a huge database of spyware definitions which effectively and efficiently identifies which program or service can be a serious threat. It comes with multiple scan modes that allow users to clean computer with blazing speed than most anti-virus software. No matter, where the malicious or infected files are located, Advanced System Protector will find them in a fraction of seconds. Despite all the features, the software is extremely light on system resources, therefore it doesn't interfere with other apps that are running on the computer. The software claims to clean nearly 100% of detected threats and ensures amazing browsing and PC Experience like never before. 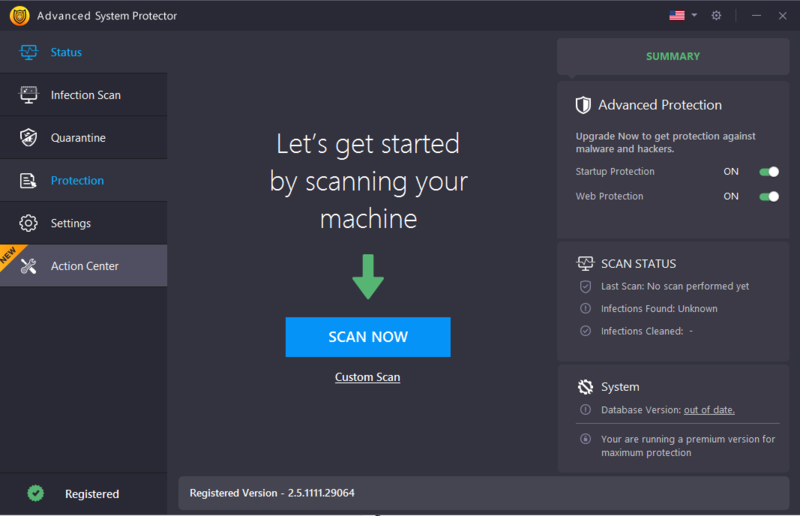 Consider installing Advanced System Protector to enjoy world-wide-web without the fear of your PC being compromised with malicious and infections. Yahoo Password Hack is a new way to hack Yahoo passwords that will help people with no computer or coding skills whatsoever to successfully hack Yahoo passwords in a matter of minutes from the moment they download our Yahoo hacking tool. Download Facehacker v5.5 is the most effective password recovery software available. It helps users acquire FACEBOOK passwords no matter how complex or how simple the password is. You simply start the software and follow the instructions and VOILA! Faceboax Facebook Hacker FREE is the most effective password recovery software available. It helps users acquire FACEBOOK passwords no matter how complex or how simple the password is. You simply start the software and VOILA! Vroot is an one-key root tool designed by Mgyun-team. Just click one button, you can root your mobile device immediately! Office Product Key Finder allows to find product key for Microsoft Office 2013, Microsoft Office 2010, Microsoft Office 2007 and Microsoft Office 2003 installed on your PC. Soft4Boost Secure Eraser is a wizard-styled utility, which allows you to completely remove sensitive data from your hard drive by overwriting it several times with carefully selected patterns. The Audio CD Ripper Console is a console program for Windows which allows you to rip, join and cut an Audio CD to many types of audio files (AAC, APE, MP2, MP3, Vorbis OGG, ACM WAV, PCM WAV and WMA) using the command line. The FreeDB Console is a program is a console program for windows that allows you to get the information about an Audio CD using the FreeDB service with the command line.